I am super excited about my new project. I’ll be writing a new series of articles on art techniques, inspiration, creativity and art demos. If this is something you’d find interesting you can SIGN-UP HERE. I believe you get back what you give and I can’t wait to share my art knowledge with you! What a great opening night! The staff and volunteers at Sunbury Shores Art and Nature Centre are fantastic. I thought I would share some of the pictures from that night, I had such a great time. It was wonderful seeing such a big turn out and getting to speak with friends, family, and new acquaintances. Between the sales and the great company, it was a huge success. Thank you to everyone who attended, to my new collectors. Last but not least thank you to Claire and Janie, you have been awesome to work with. 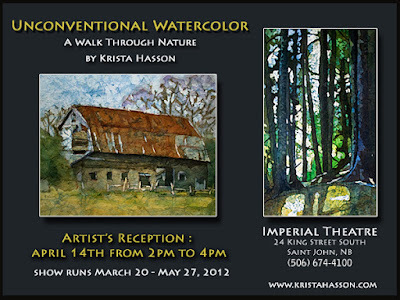 My solo exhibit “Nature’s Essence” will be hung this upcoming Wednesday. 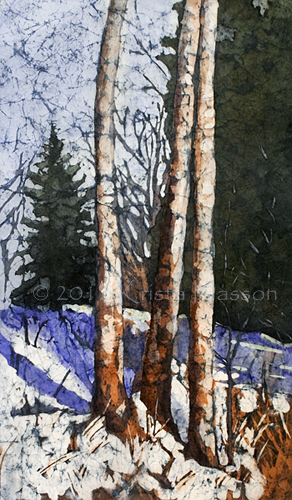 You can see it at Sunbury Shores Art and Nature Centre in St. Andrews NB. I can’t believe how fast the time goes by. It has been a super crazy busy start to 2017, these last 3 months I haven’t stopped. That is a good thing though it keeps me out of trouble lol. I will be attending the opening of the show on Friday night April 7th, 2017 from 5 pm to 7 pm, I would love to see you there. Make sure you come by and say hi! This little pug is Ozzie – oil 8×10″. He was a Christmas commission that I did for a wonderful client, she had it painted for her husband. This is actually the third pug I have painted for her, the first two were her daughter’s dogs. I am such an animal lover and always had pets growing up just about every type lol. I have a dog and a cat right now, but dogs are my favorite and I love painting them! The early pug paintings are in watercolor, you can see them below. These are the watercolors that I finished back before Christmas. I thought I would give you a break from my 30 paintings in 30 days lol. I am in the process of finishing up more and will post then as soon as I am done. Thanks for looking. 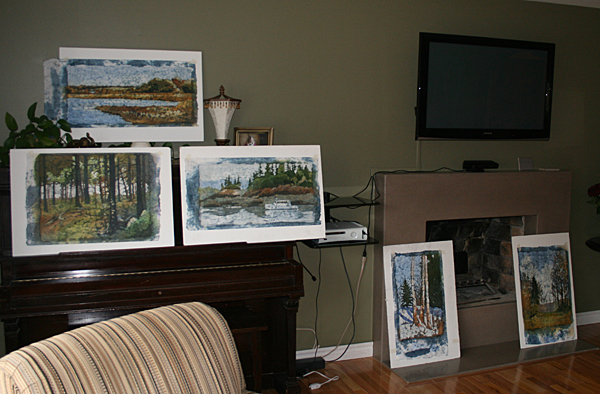 I have been working away layering wax and paint and more wax and more paint …. I LOVE IT!! These paintings are starting to look like something other than just blobs of color. Hope you enjoy my update, don’t forget to leave a comment and tell me what you think so far. Thanks for stopping in. Have a great night everyone. This is upcoming Friday night Oct. 16 is the last Gallery Hop of the season. Hopefully, everyone will be able to make it out. 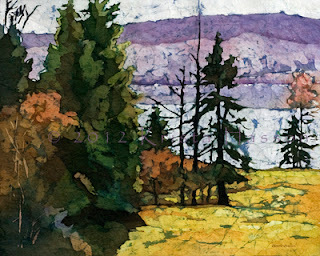 The artwork in this post will all be available for purchase at the Trinity Gallery on 128 Germain Street. They are open from 5 – 8 pm on Friday night for the Hop. I hope to see you there! See Below for details on the Hop. Gallery Hop – Fri Oct 16, uptown Saint John. 4:00-8:00 pm. Join in the excitement of going from gallery to gallery to view the latest exhibitions, meet the artists and gallery directors/owners, enjoy some light refreshments, and delight in conversing with friends along the way. The Gallery Hops are a popular event in Saint John. Citadel Gallery, 162 Charlotte St. / Cobalt Gallery, 111 Prince William St. / Handworks Gallery, 12 King St. / Jones Gallery & Studio, 73 Duke St. / Peter Buckland Gallery, 35 Duke St. / Trinity Galleries, 128 Germain St. I was very honored to be informed that the NB FILM CO-OP had picked me as their artist of the week. This is the full article from their website. If you want to read it online please click this LINK. A great big thank you to the NB FILM CO-OP. I Hope everyone is having beautiful weather like we are right now. I was very honored to be informed that the NB FILM CO-OP had made me artist of the week. This is the full article from their website. If you want to read it online please click this LINK. A great big thank you to the NB FILM CO-OP. I Hope everyone is having beautiful weather like we are right now. Here are all of my latest spring paintings that have bee dropped off to Trinity Galleries in Saint John NB. If you would like to view or purchase any of these paintings please contact the gallery. 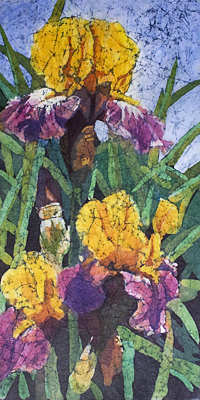 The post below with the still life can also be viewed and purchased at Trinity Galleries. I hope you enjoy these, have a wonderful week! 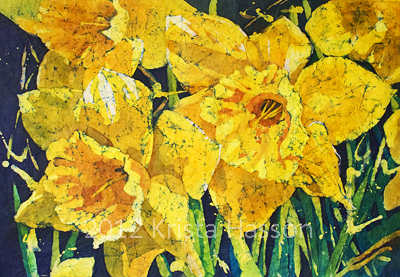 My latest Mixed Media Paintings, inspired by the arrival of Spring! Here are a couple more from my show that just opened at the Saint John Arts Centre on the 13th. I would like to extend an invitation to anyone who loves art and will be in the Saint John NB area on the 13th of September to join me at the opening for my show “Watercolor Redefined” I will have 27 paintings in this show. For those of you that can’t attend I will post some pictures after the opening. Hope to see you there. Please feel free to add yourself to my facebook event page. 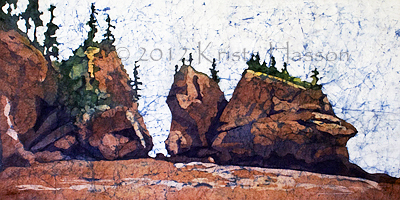 I am pleased to announce that I am now being represented by the Trinity Galleries in my home town of Saint John New Brunswick. You can view and purchase the following artwork through the gallery. 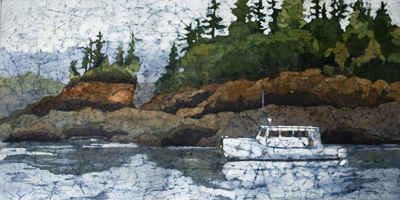 Please contact Trinity Galleries for information regarding size and pricing. I love the color of the new leaves and the smell of spring. I can’t wait!! This is one of the paintings you saw in my earlier post when they were hanging to dry. It is 20 x 16”. I love the simplicity of this one. Bleeding Hearts are one of my favorite spring flowers, they are so vibrant and delicate. The color is a lot brighter and bolder in real life. Not sure why some colors just don’t reproduce well on blogger. If anyone out there knows a way to over come this I would love some suggestions. Have a great day everyone! 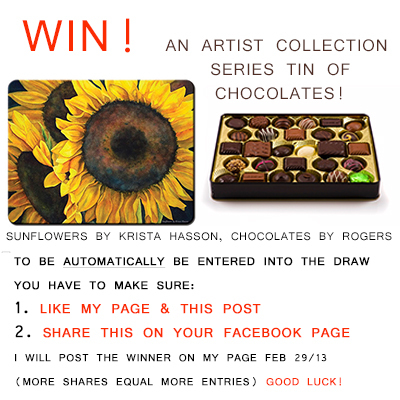 Win A Tin Of Chocolates with a picture of Krista Hasson’s painting “Sunflowers” on it. I was thrilled earlier this year when Rogers Chocolates licensed the right to reproduce my painting “Sunflowers” for one of their Canadian Artists Series chocolate tins. I had bought a few as gifts for friends and family and I had one left. I decided I would like to share it with one of my many supporters. That is why I am doing a give away over on my Facebook page. I wanted to make sure that all of my wonderful and loyal blogger friends have an chance to enter as well. 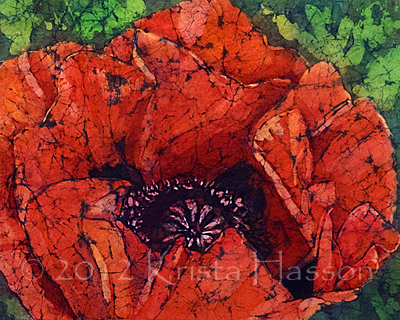 To enter simply go to my Facebook art page: FACEBOOK like my page and share this pic and you are automatically in. I would love to hear any stories about successes and failures you have had doing a give away on you Facebook or blog. Have an awesome night everyone! These two paintings are going in my solo show (along with 25 others) at the Capitol Theartre Art Gallery in Moncton, NB Canada. They are two of my favourites, plus I really love the long format. My show runs from Jan2 to Feb 27th. 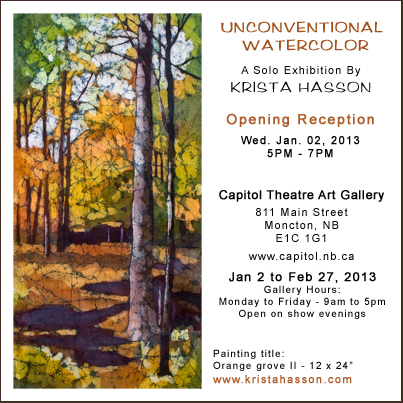 Opening reception is Jan 2 from 5 to 7pm. I hope to see some familiar faces and looking forward to meeting some new ones. This is the web announcement I just finished for my upcoming solo show in Moncton, NB, Canada. I have been so busy getting ready for this. I will try to give you a peak at some of the paintings soon. Back to reality. 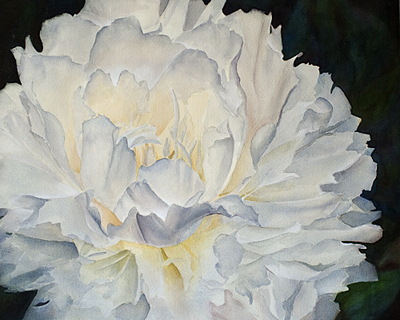 White Peony finally finished ! 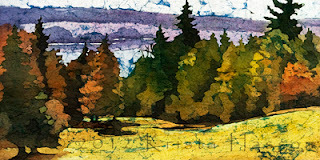 I have not painted realism since I began on my journey with rice paper. I started this a long time ago, it feels great to have it finished. I hope everyone is having a wonderful day! Thanks for stopping in. This is one of the latest paintings I have finished. It is 16×20 and done with watercolor on rice paper. I have been painting non stop lately it seems : ) I love it! It leaves little time for other things, hopefully now that summer is over I will have some time to catch up on my blogging. Hope everyone has a fantastic day!! This is another one I have completed recently, there are many more I just need to find more hours in the day lol. 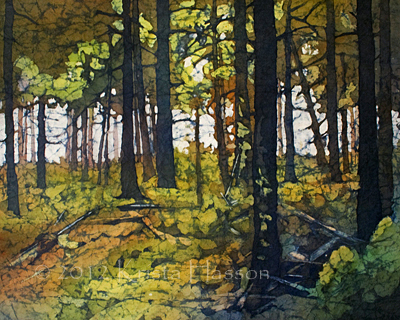 This is another one I recently finished, it is 18″x 18″. I really love the square format. I have finished many new paintings lately, I have not had a lot of computer time as I am getting ready for many upcoming events. 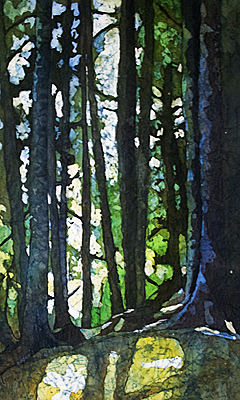 This watercolor on rice paper is 18 x 26″ . I find posting these on blogger really dulls the color down, I saturated this a bit more hoping it will be closer to the real life version. I hope everyone has been well and are being creative! : ) Have a great night. Here is another one from the five, normally I would be finished these quicker but I have been busy doing lesson plans for my new students. This is another one from the five I removed the wax from the other day. It is 16×20 and again it is much more saturated in real life. 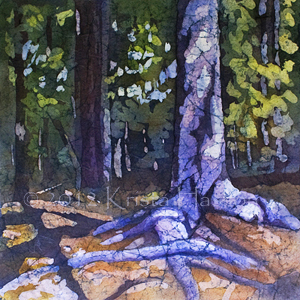 I really like the bits of debris on the forest floor in this one. Thank you for looking have a great day! Here is one of the paintings finished, still working on the other 4. I have been very busy, hoping to get them all finished up soon. This one is 14×20″. The painting is actually a little more saturated in real life. I find that when I post them on blogger it always dulls the color down some. Hope everyone is having a terrific weekend! So this is what happens after I remove the wax, I attach them to a board so I can set them in my front room. I will look at these for a few days, figuring out what I want to change or touch up (or not) then I will adjust, and go through the process again. When I am completely done I will take individual pictures and post them. Have a great night everyone! 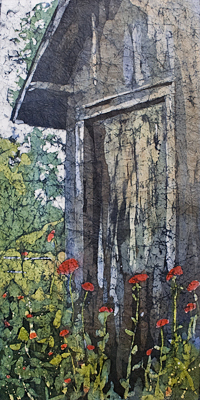 This is the last one of the 3 I just finished, it is 12×24″ and watercolor on rice paper. I can not believe how excited I get about these paintings. I don’t think I will ever be able to paint realism again lol. Oh and again I have no name : ( . I also just finished drawing out 5 more in various sizes, and can’t wait to start them. Hope everyone is having a great day. Happy painting! This is the first of three watercolors I have just finished. 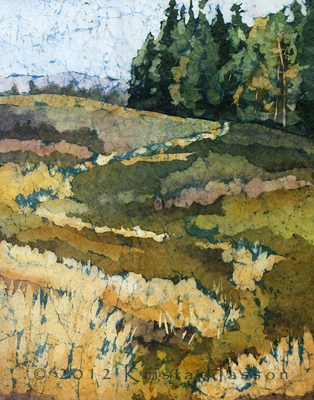 It is on rice paper and is 11×14″. I am having a hard time naming this, if anyone has any suggestions please feel free to share : ). Hope every one has a wonderful and creative day!